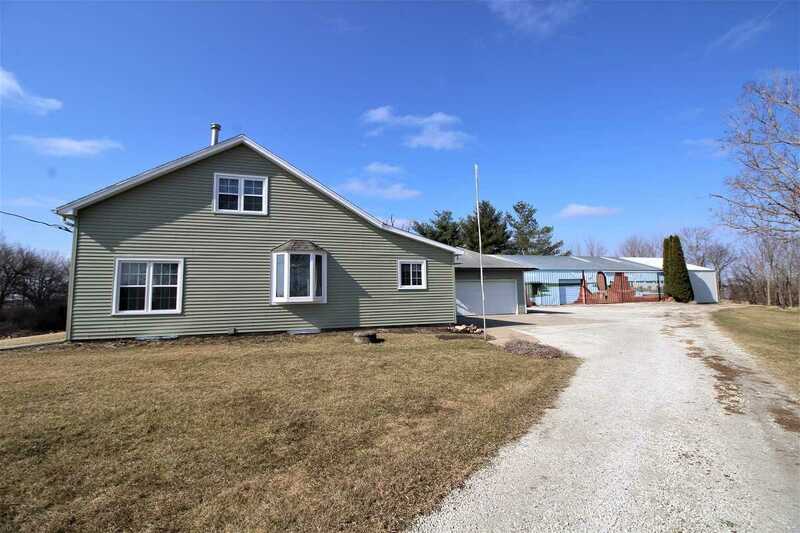 Very well maintained HOME sitting on a hard surfaced road with 3.92 acres. This HOME offers an inviting entry, kitchen, formal dining which is open to the spacious sun filled living room, 2 bedrooms and bath on the main floor, 1 bedroom up with an additional room that could easily be completed to make a 4th. The basement offers a large family room, cold storage room, 1/2 bath/utility room. Also featuring a 2 car garage, 40 x 88 + 15 x 60 machine shed, small outbuildings garden area and flower gardens.